Sammic offer customised solutions for users in catering and hotel, licensed trade and food industries and have been operating since 1961. 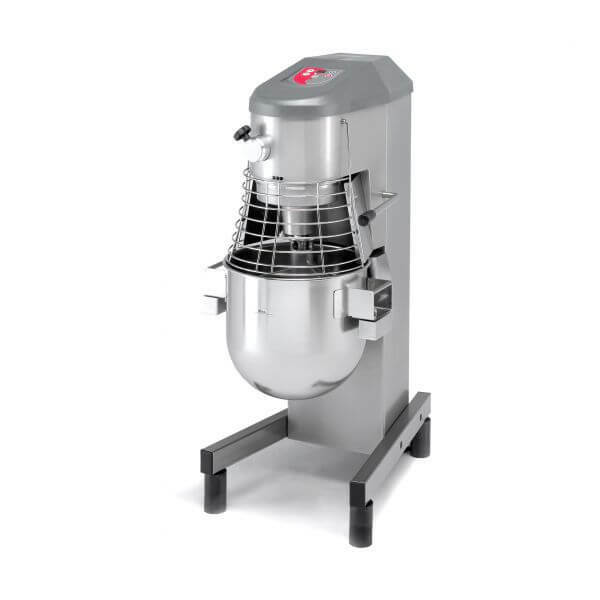 Abraxas are proud to be a supplier of Sammic, who are a world leading manufacturer of quality warewashing and dynamic food preparation equipment and specialise in the design and manufacturing top-of-range products for catering and hospitality industries. 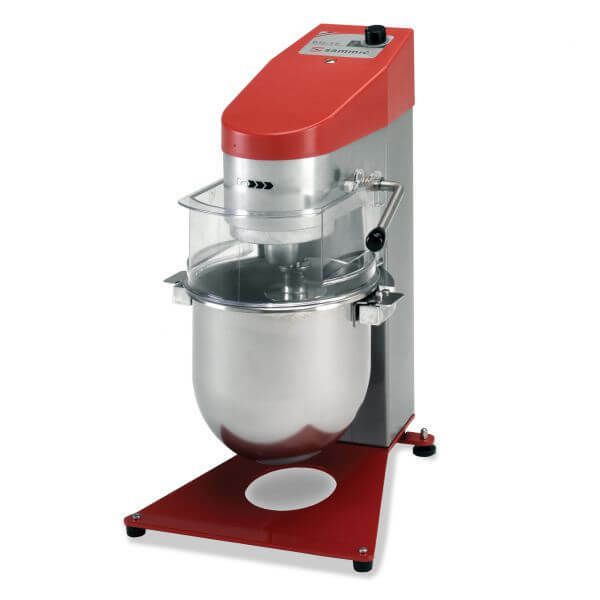 Sammic’s state of the art planetary mixers are specially designed for commercial kitchens, workshop and bakeries to replace manual labour through a mechanical system that allows to produce, continuously, large quantities of dough. 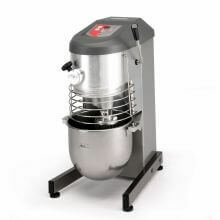 Sammic offers a range of planetary mixes with capacities of 5,10,20,30 and 40 litres. The smallest model of 5 litres is available in two versions according to the motor and production capacity. There are also two versions available in the 10-40 litre models, one basic model and one model with an attachment drive for accessories. 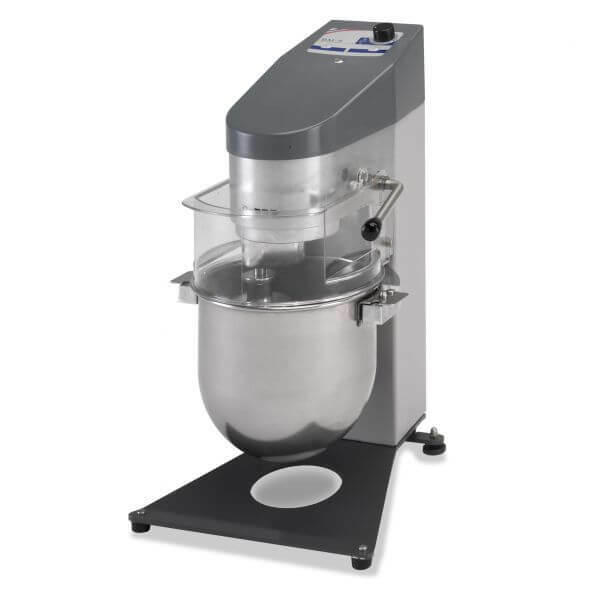 Sammic planetary mixers are equipped with powerful three-phase motors, controlled by highly reliable electronic speed variety technology which enables the mixers to be connected to a single phase electrical main supply. 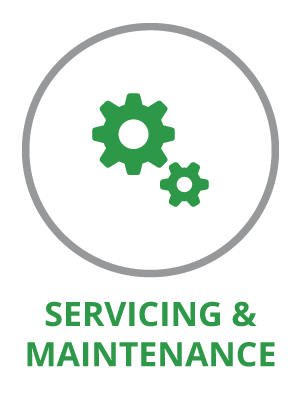 Belt driven technology makes maintenance very easy. The electronic speed rider allows progressive acceleration and speed reduction, reducing flashing and making operation safe for the user. Paddle for softer doughs, batters and creams. 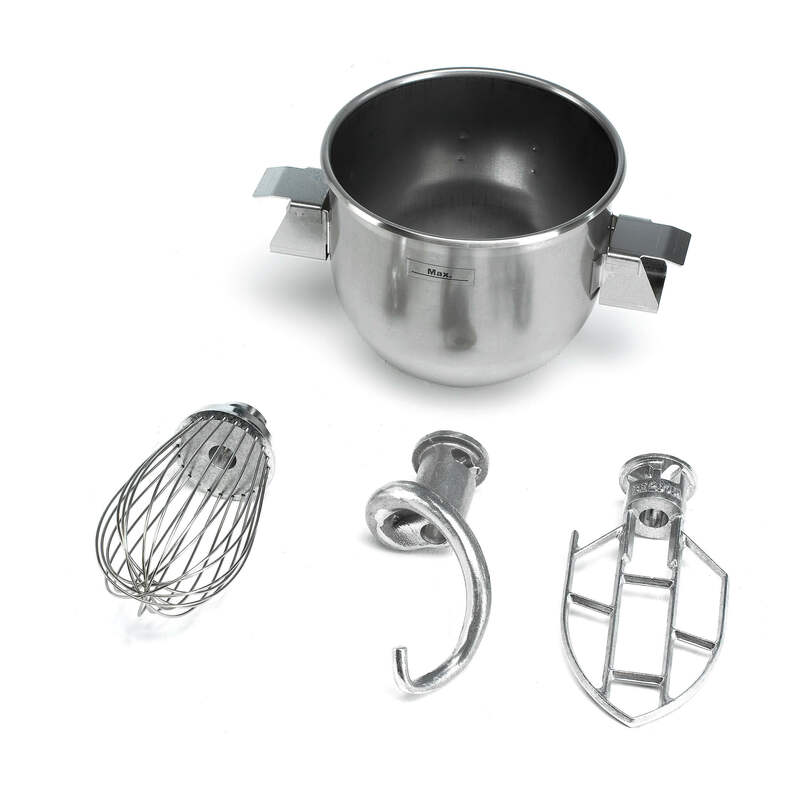 Balloon whisk for liquids such as egg whites, heavy cream and other sauces. 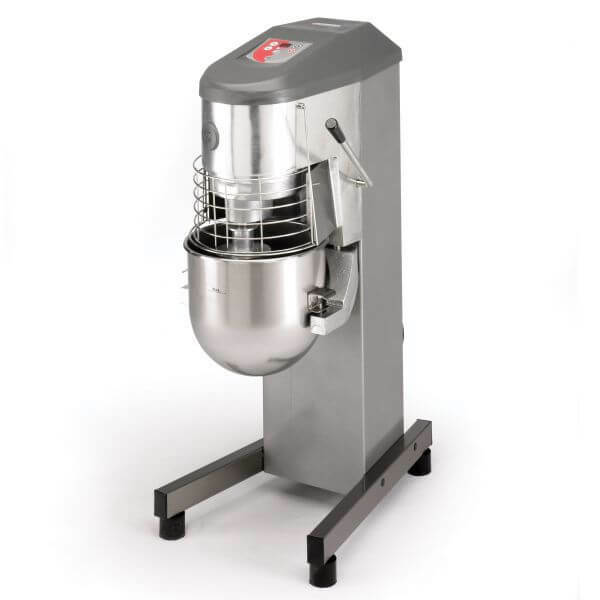 Besides the beater, whisk and dough hook, Sammic offers optional accessories for models equipped with an attachment drive. 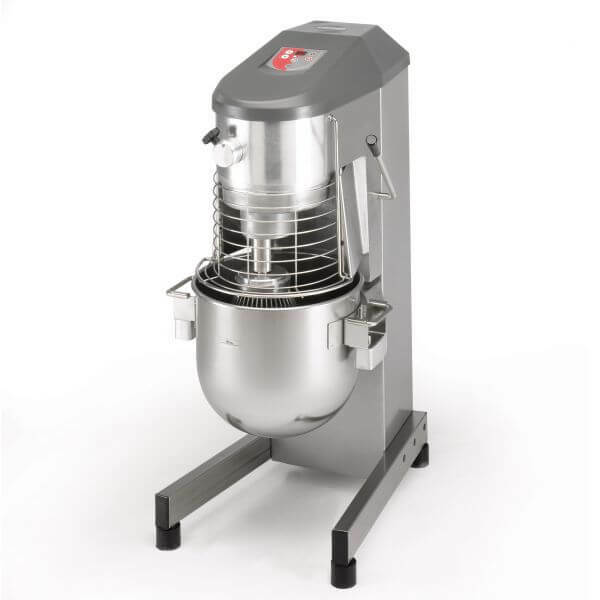 Choose from the meat mincer, potato masher or vegetable preparation attachment. 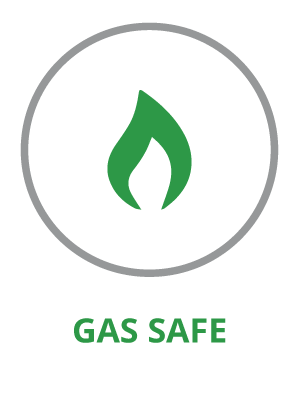 Sammic also supplies accessories to make transportation easier. 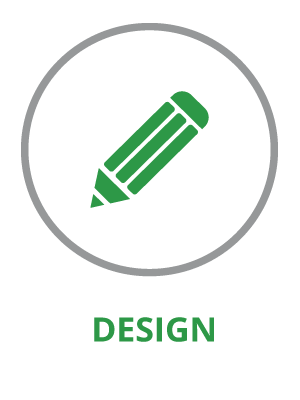 If you would like to talk to Abraxas about Sammic, call one of our team to find out more!